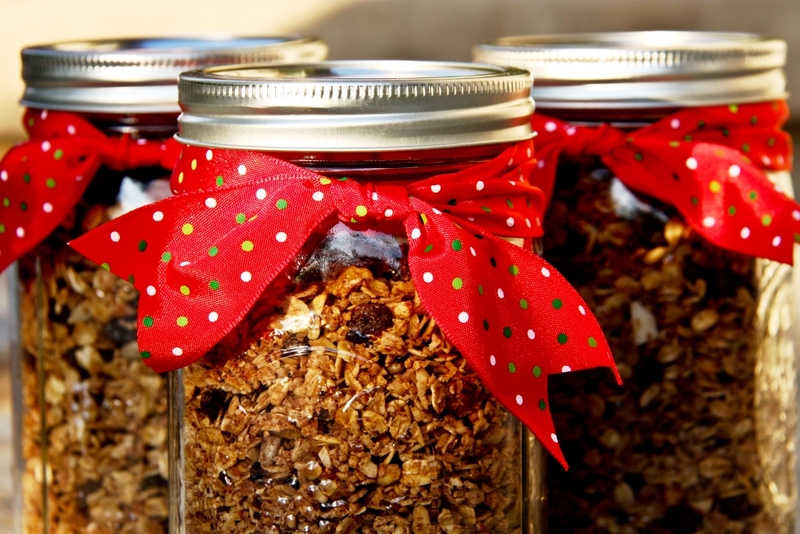 Granola is so very easy to make and so yummy! I definitely treat this granola as a “treat” due to the amount of maple syrup in it, but I really enjoy it when I do have it. 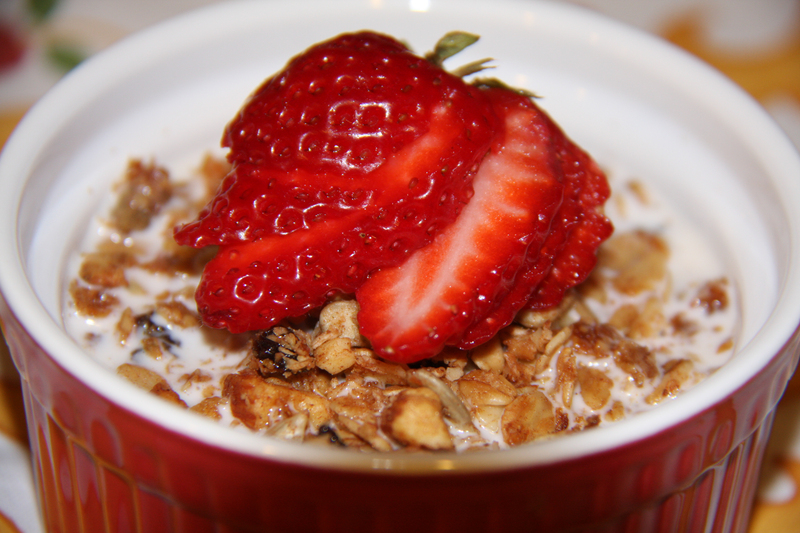 One of my favorite desserts is warm Chunky Crock Pot Applesauce topped with the Maple Almond Granola. Years ago I got this Earthbound Farms Famous Maple Almond Granola recipe from the Costco Connection…it’s a real winner. 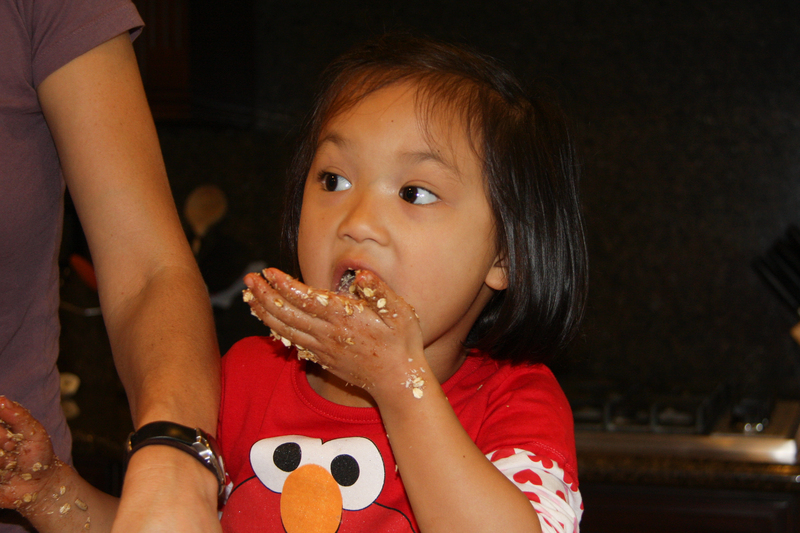 If you have kids, they will love to help you make this granola and will really enjoy getting their hands dirty! I usually double the recipe below (i.e. 9 cups oats). NOTE – If you double the recipe, it will take approximately 1 hour to 1 hour 15 minutes to cook. 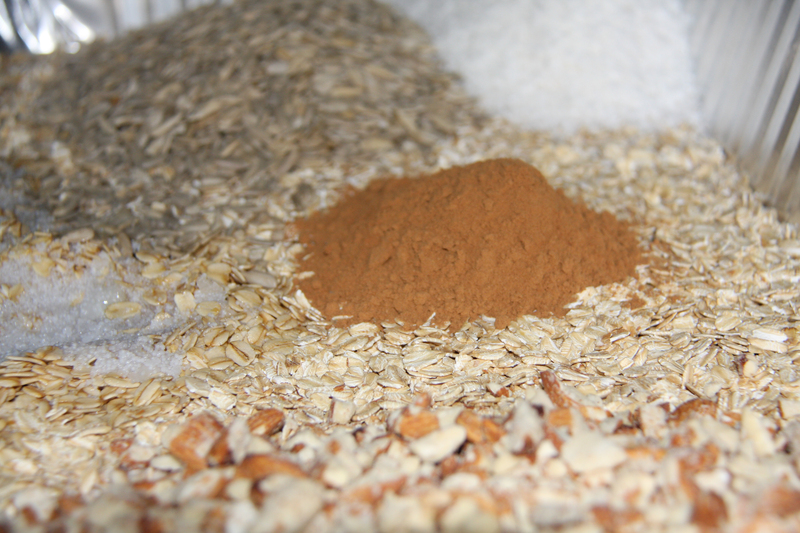 Place the oats, sunflower seeds, almonds, and cinnamon in a large bowl and stir to combine. Add the maple syrup and oil, and stir until all the dry ingredients are moistened. 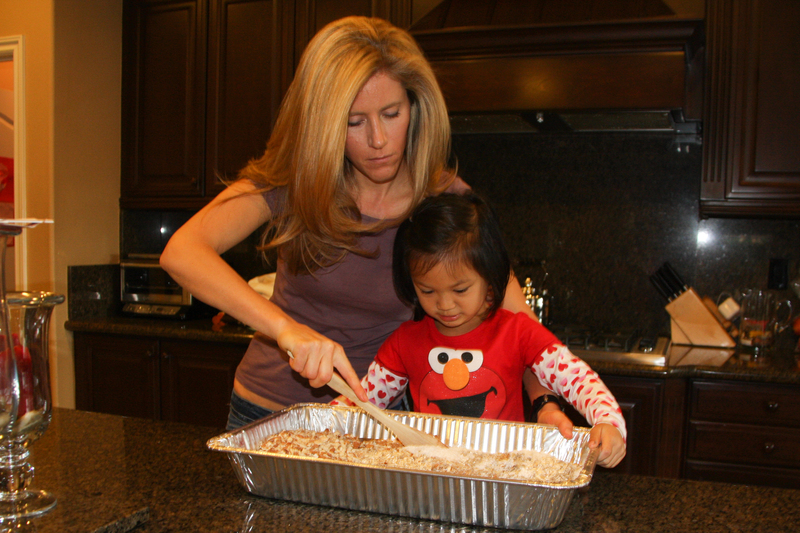 Spread the granola on a 17 x 12 x 1-inch rimmed baking sheet. 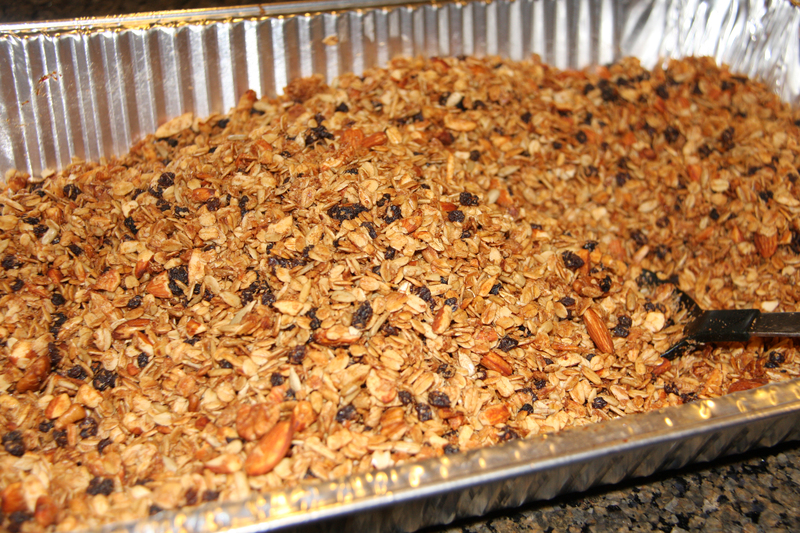 Bake until the granola begins to brown, about 25 minutes. 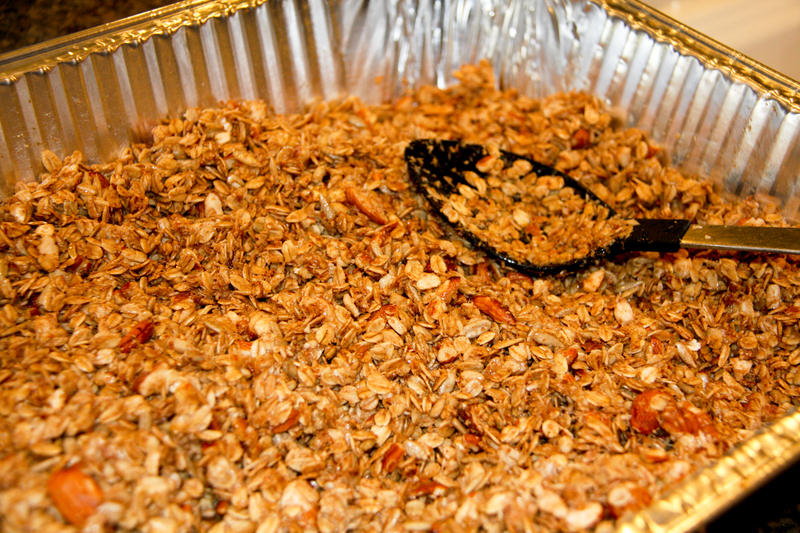 Stir the granola with a flat spatula and continue to cook until it’s light golden brown, dry, and fragrant, about 15 to 20 minutes more. 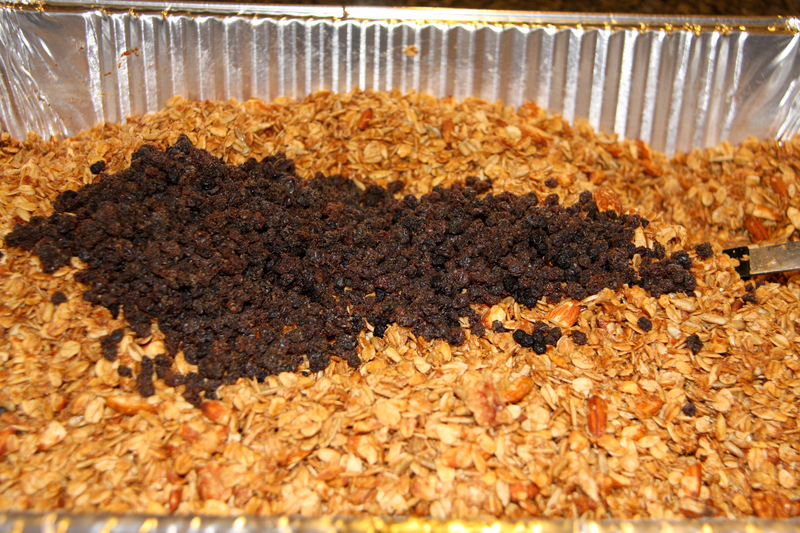 Stir the granola at least once more, and watch it carefully during the final minutes because it can burn quickly (It will take longer to cook if doubling the recipe…mine takes about 45 minutes). 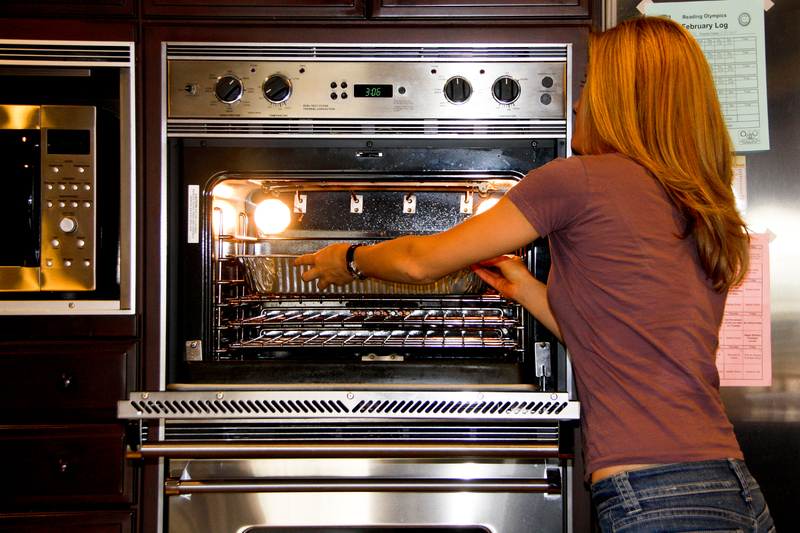 Place the baking sheet on a cooling rack. 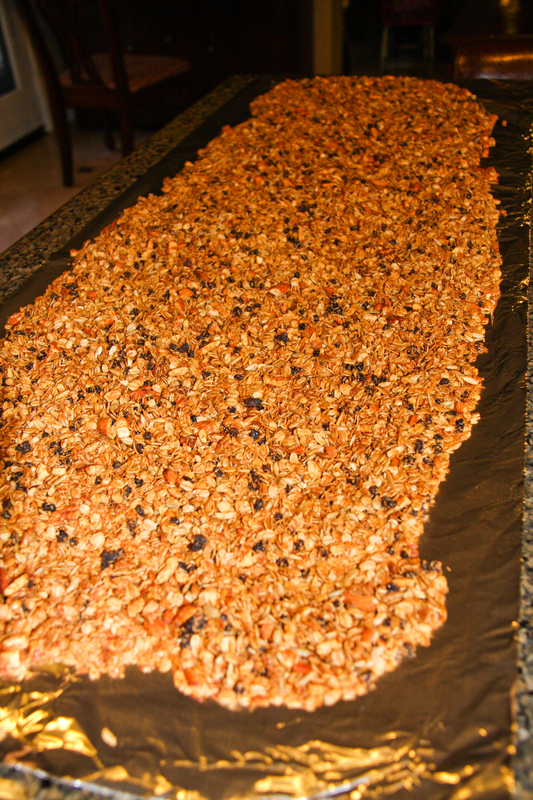 Add the raisins and stir to combine, then allow the granola to cool completely. I lay out the granola flat on my island to allow it to cool. Oh Gretch, your daughter is BEAUTIFUL!!! 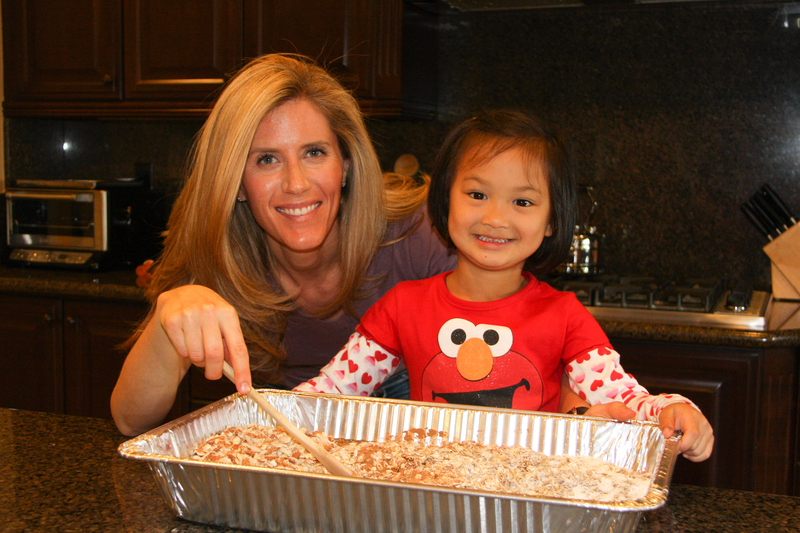 What a sweetie, so fun to see mommy & daughter cooking together, so fun! I love making my own granola. I’m going to have to try this recipe. Thanks! This looks delicious!!! I’m going to try it!!! I love the photos! How sweet. 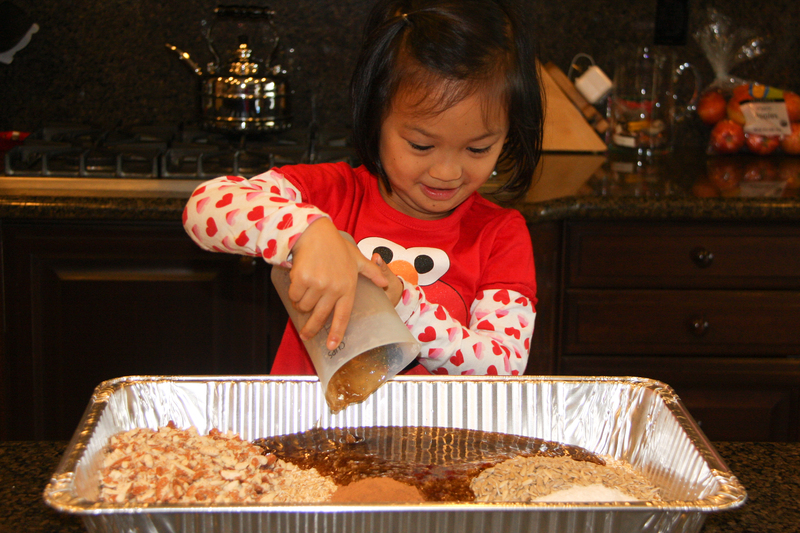 I make my own granola too and now I’m thinking that would be a perfect recipe to let my 8 year old make, who has recently shown a huge interest in cooking! It would be the perfect recipe…you would just have to help with the oven portion since it needs to be mixed and put back in a few times. I really enjoy watching my children cook. 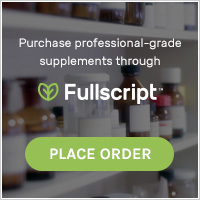 its benefits that make it a great choice over the other juicers in the market.